The inspiration of Frank Zappa | Jon Katz, P.C. Zappa was infinitely more than his trademark facial hair. (Image from the House of Representatives website, of all places). 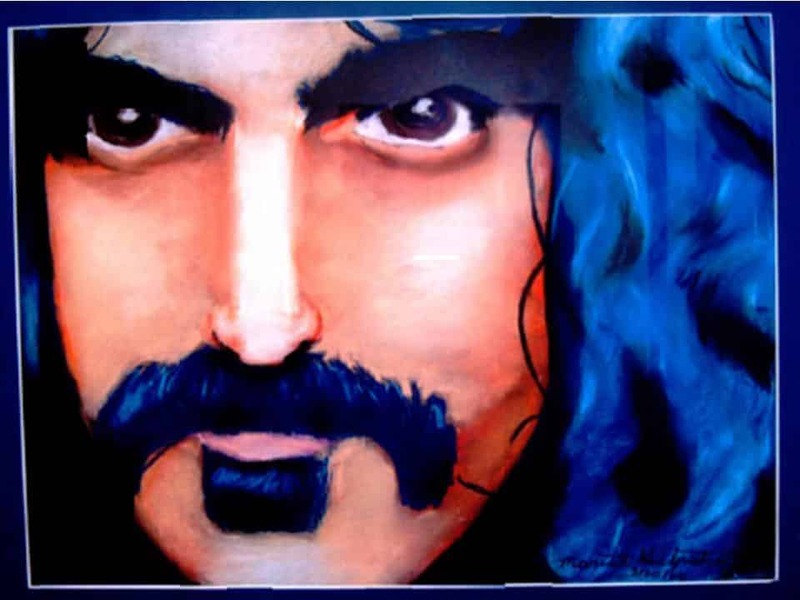 Why does Frank Zappa inspire me as a trial lawyer? One reason is that he was a musical and creative genius, which means all the more to me in relation to my amateur music experiences that started thirty-four years ago. Another is that he did not fear what others thought of him; he was the real McCoy. The ultimate reason is that he rejected mediocrity, did not try to pass off mediocrity as accomplishment, and insisted on excellence from himself. He and music were inextricably intertwined. Last July, I blogged about the inspiration I derive from both Frank Zappa and Daniel Schorr, who became unusual and good friends to the point that in his on-air eulogy of Zappa, Schorr seemed to understand him better than plenty of people who were diehard Zappa fans. Although I never became a front-and-center Zappa music fan — and bought only two of his music selections (both amazing — Overnight Sensation and Blue Note’s reissuance of Jean-Luc Ponty playing Zappa’s music (including such titles as "King Kong" and "America Drinks and Goes Home") — I jumped at the opportunity to see him perform in Boston in 1984. Always full of surprises, one of his surprises this time — or perhaps a message that Zappa’s talents and self went well beyond singing and playing instruments — was that he said not a word, sang not a lyric, and played not a note. Instead, he conducted a very talented band as a very talented composer. I later learned that Zappa "wrote out his own scores, at enormous expense, and preferred to conduct them himself." Zappa was born in Baltimore (where fellow envelope-pushers Edgar Allen Poe and John Waters spent substantial time), and somehow inspired the symphony bearing the city’s name not only to perform his The Perfect Stranger a week after Zappa’s passing, but also to play it twice to the same audience: "The BSO seemed to do a yeoman job with The Perfect Stranger, however, running through its wacky polyrhythms and whirling unison xylophone bits in fine style. But when the final gong sounded and everyone clapped Zinman looked unsatisfied. ‘Do you want to hear that again?’ he asked the audience. The Meyerhoff crowd that night was an odd mix of well-dressed symphony seasoners and long-haired latter-day freaks wearing crusty old Mothers T-shirts; they all seemed mystified at the question. But Zinman returned to the podium and started the whole crazy thing over again, from the top." Just as conductor Zinman decided to try to make sense of Zappa in such an otherwise rather conformist milieu, and just as Zappa settled for nothing but excellence, I continue to try to make sense of a criminal justice system that too often oppresses but sometimes liberates, to my clients’ best advantage. Jon Katz.